There are two words that I love together- Cheese and Steak. I am not a big meat eater- but I really like it covered with veggies and cheese. Oozy Gooey goodness melt in your mouth deliciousness. It really is that good and oh so easy. 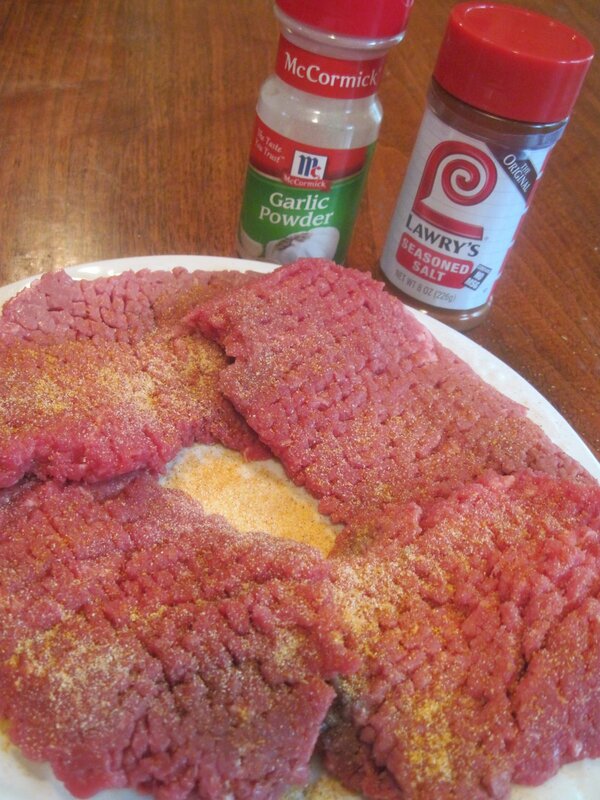 Season cube steaks with Lawry’s Seasoned Salt and Garlic Powder. 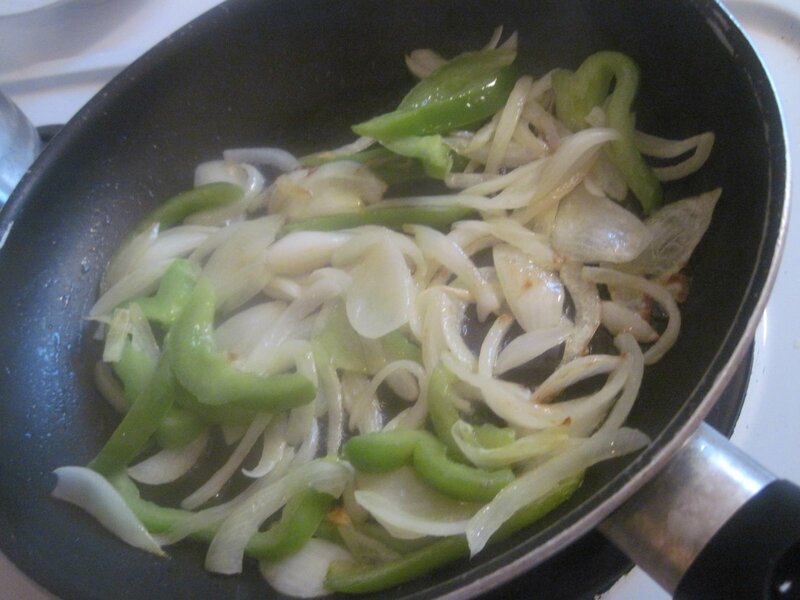 Saute onion and pepper until soft. 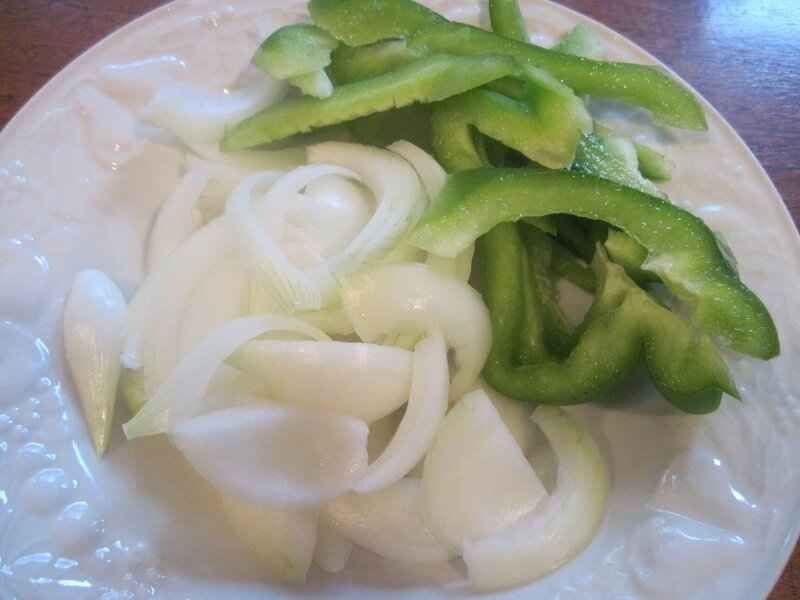 Place seasoned cube steaks on top of onions and peppers in saute pan. 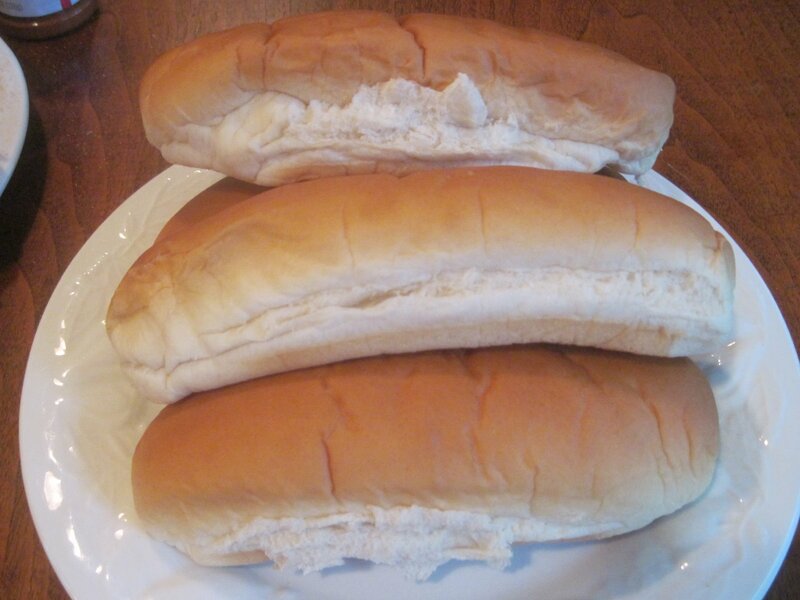 Choose a firm hoagie / sub roll- you don’t want a flimsy one that will get mushy. 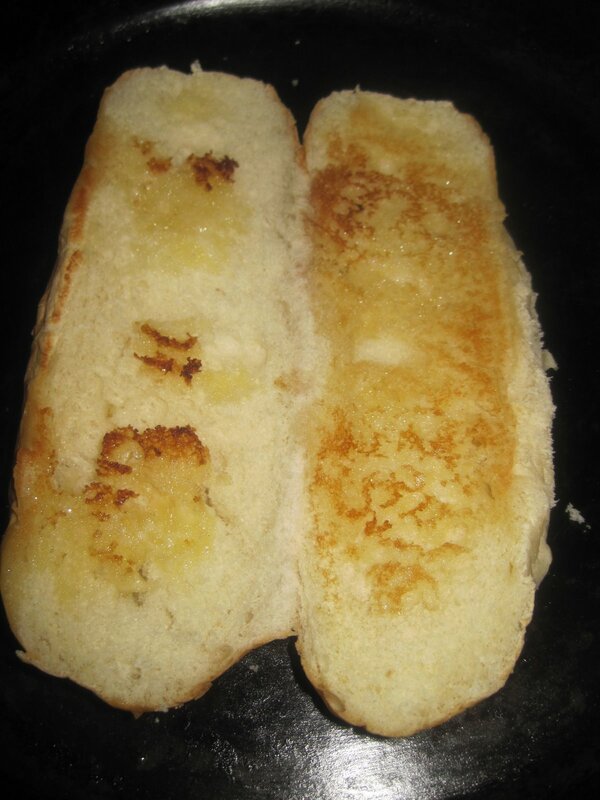 Heat roll in pan until golden brown. 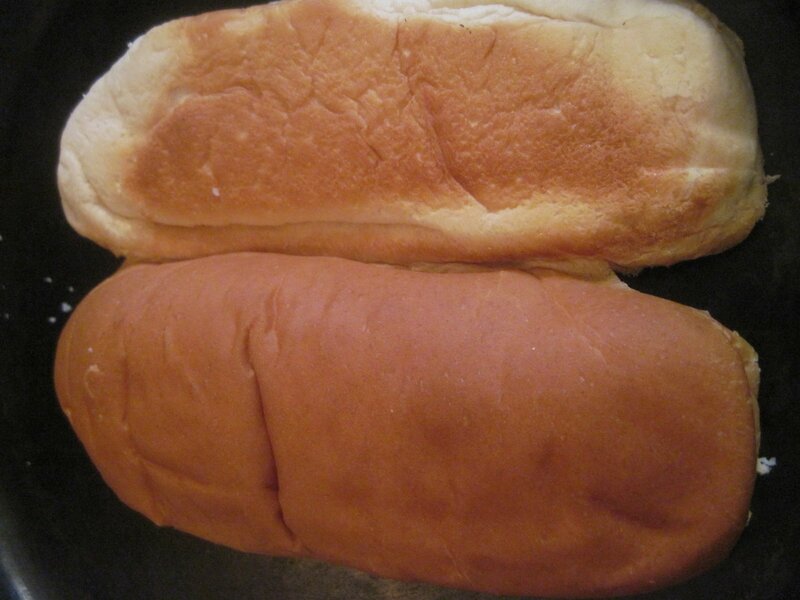 Brown front and back sides of roll. Place a slice of cheese on each steak. Melt. Give me one loaded with veggies and cheese! Delicious wonderfulness- I feel like saying ( like the food channel chefs) ,” Oh! I wish you could smell this!” it really does smell so good, everyone that walks into your kitchen will be so excited. 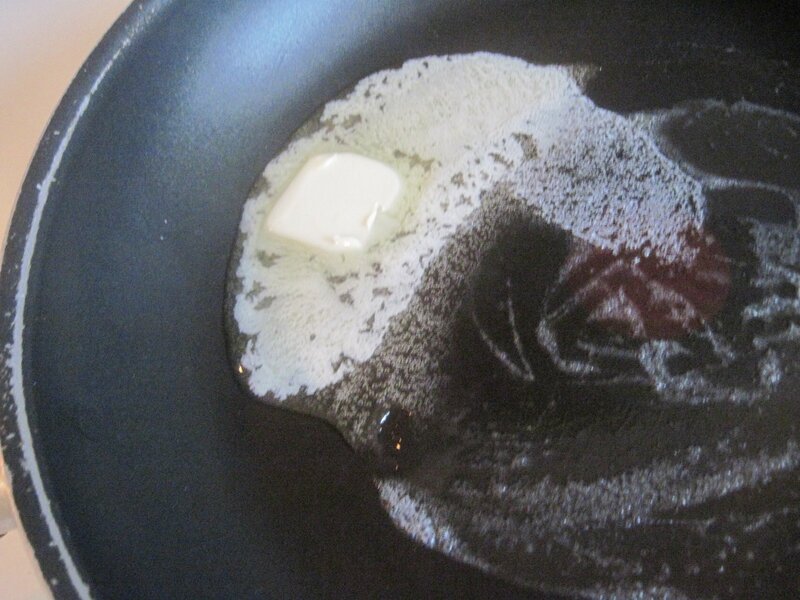 On medium heat, place 1 tablespoon butter and 1 tablespoon olive oil in saute pan . Add veggies. Cook until soft. 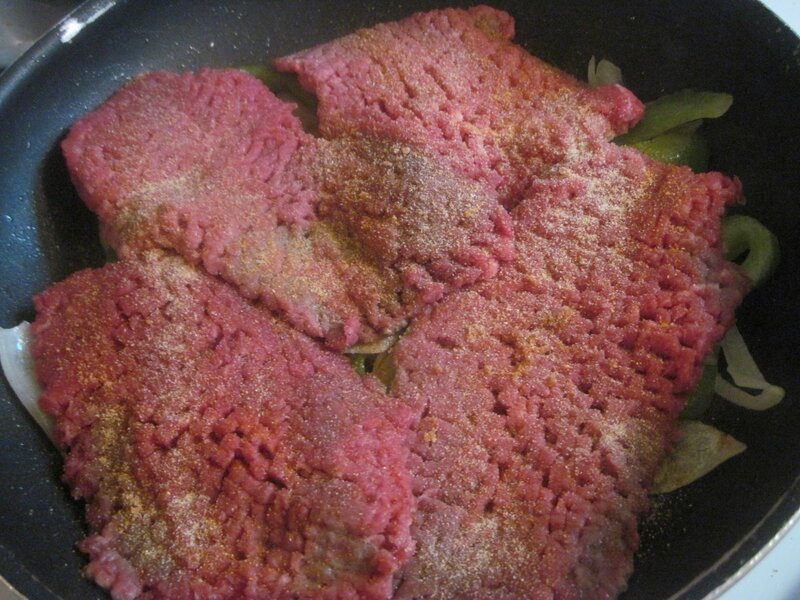 Season Cube Steaks, place on top of veggies. Cook Cube Steak 3-4 minutes each side. 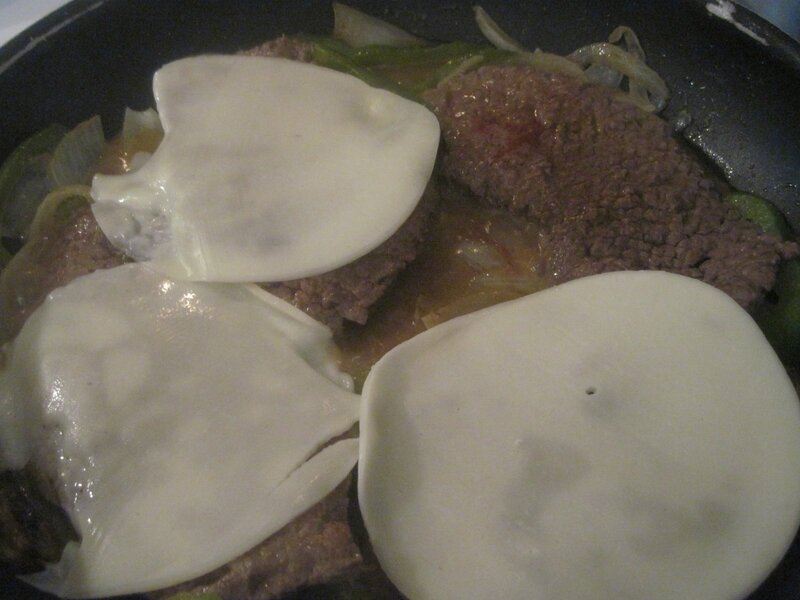 After cooked add 1 slice cheese. Melt. 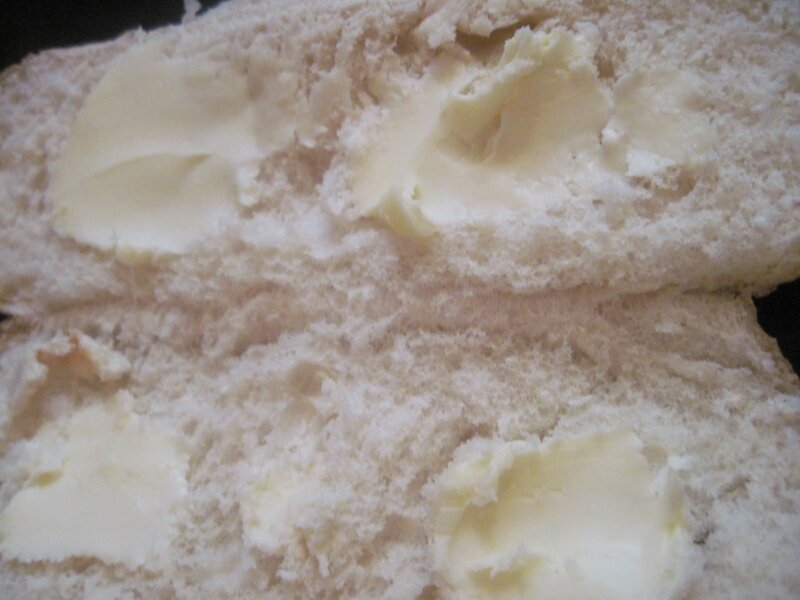 Cut rolls in half and butter both sides. Brown front and back. 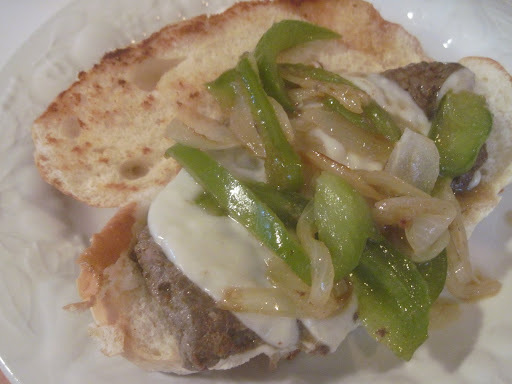 Place steak on roll. Mangia, Mangia! Eat, eat!!! Enjoy. Thank You So Much for sharing on Recipes For My Boys…Thursday's Treasures! I'm sorry about the delay in responding..some days just get that way around here. 😀 We'd love to have you join again tomorrow. <3 and Hugs! Hi Debi, I will post another recipe tomorrow! Love your blog!